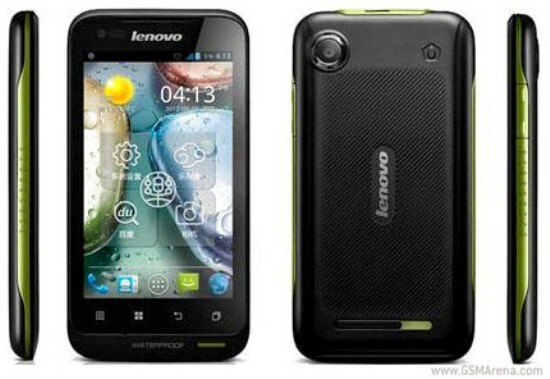 One of the few models from Lenovo that are IP67 certified is the A660. This being said, the device is both dust and water-proof and has been released during the autumn of 2012. It works with a micro SIM card and gives access to a 2G, as well as a 3G network. If you are one of the proud owners of this smartphone, you most probably want to make sure that it’s always in its best state. This is why the current article will explain how to do a hard reset on the Lenovo A660 when it’s not working properly. This one is an operation that can serve most phones when they have been attacked by a virus. No matter how good and powerful a device is, this can happen after having used it for an extended period of time and especially after having downloaded and transferred many files. There’s nothing to be ashamed of, as it happens to the best of us. Now, before we get started and show you how to do this, there’s a couple of features that make the Lenovo A660 really special. First and foremost, this one is powered by the Ice Cream Sandwich version of Android, comes with a dual-core 1 GHz processor, uses a PowerVR SGX531u GPU and is equipped with A-GPS. You can get the device in either black or orange, and its 125 x 65 x 10.5 mm dimensions make it look very elegant and fashionable. You will also love this device for its total storage capacity of 4 GB, the 5 MP camera on its back, as well as the VGA one placed in the front of the smartphone. Thanks to the first one, you can also record videos and use geo-tagging, as well as autofocus. The Li-Ion 1500 mAh battery is known to last long and thankfully enough, it is also a removable one, so you can easily perform a soft reset. The master reset procedure will bring the Lenovo A660 back to factory settings, which means that the software will be also brought back to original. If you’ve installed any updates or a newer version of Android, this one will have to be reinstalled after the restore. Also, all the documents stored on the RAM of the phone will be lost, which is why you should make a backup. This one is easy to create by connecting the phone to another device via the USB cable. You can also use Bluetooth for the same purpose and transfer the necessary files in just a few minutes. Make sure that you delete what’s not important and only copy files that you really need. This way, you reduce the time of creating the backup, and you also save time when restoring it after the reset. Use Power key to switch the phone off and wait until it’s shut. Use Volume Down & Power to enter reboot & wait for the logo to appear. Use Volume buttons to select Wipe Data and tap the Power button. Choose Yes, and then select Reboot System Now to get started. Once you read the final warning and agree with the reboot, the phone will start to automatically delete files and bring everything to original settings. This won’t take more than 5 minutes, and the device should restart all by itself once this is complete. Go to the Menu, and then touch Settings. Touch Reset Phone and read the warning when it pops up.